The European Union has agreed to delay Brexit until Oct. 31, but the question now is if the British Parliament can craft in seven months an acceptable Withdrawal Deal it’s failed to accomplish in 2-1/2 years. 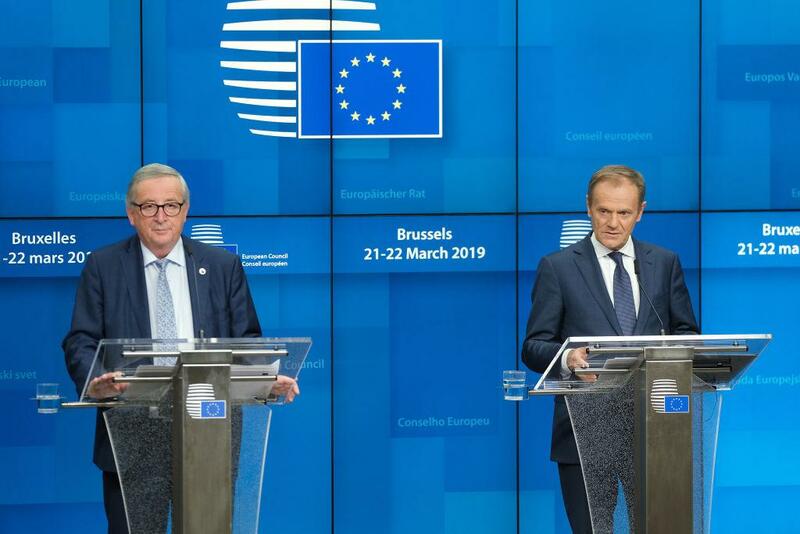 Theresa May had asked the EU 27 leaders for an extension until June 30, but appears to have been taken aback by the far longer extension, which is being called a “flextension” by Donald Tusk, President of the European Council. Adding fuel to concerns all isn’t well with May was the sudden cancellation of a scheduled news conferences involving Tusk; Jean-Claude Juncker, President of the European Commission; and May. After a few hours of uncertainty as to May’s acceptance, Tusk confirmed in a tweet the flexible October 31 flextension has been agreed to by May. Tusk said the flextension gives the UK time to "find the best possible solution."